Danish operatic singer; born in Copenhagen Jan. 8, 1839; died there March 22, 1899. She made her début at the Kongelige Theater in Copenhagen on Dec. 20, 1860, when she, as Nannette in "Den Lille Rödhætte," completely won the hearts of her audience by her sympathetic impersonation of the guileless girl. 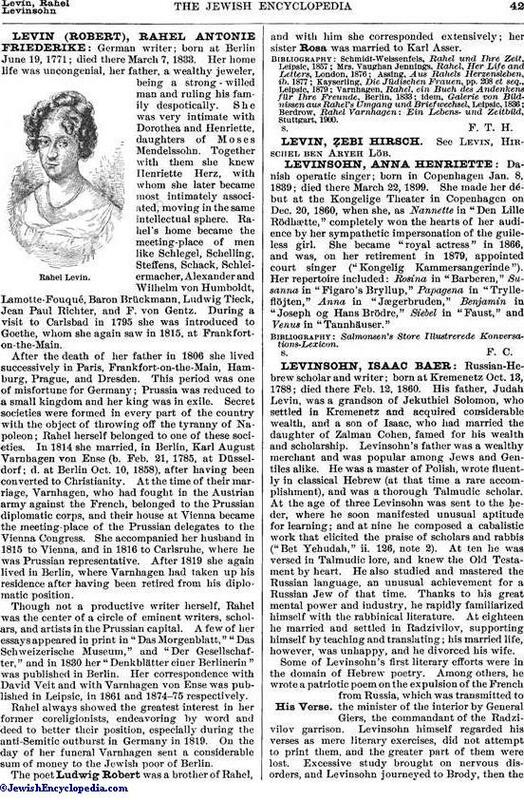 She became "royal actress" in 1866, and was, on her retirement in 1879, appointed court singer ("Kongelig Kammersangerinde"). Her repertoire included: Rosina in "Barberen," Susanna in "Figaro's Bryllup," Papagena in "Trylleflöjten," Anna in "Jægerbruden," Benjamin in "Joseph og Hans Brödre," Siebel in "Faust," and Venus in "Tannhäuser."